This 14K yellow gold Claddagh ring has a three stone diamond heart along with a row of stone both above and below the heart for a total weight of 1/4 carat (0.25ct). 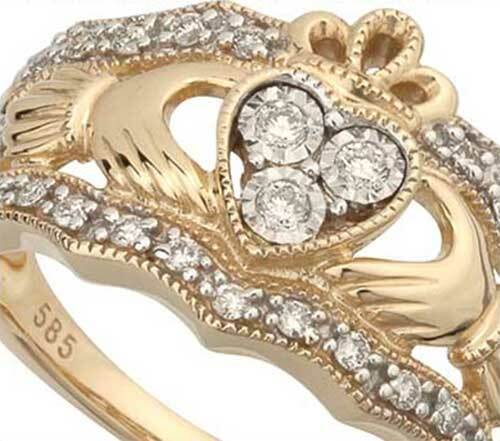 The diamond Claddagh ring measures 1/2" tall from the bottom of the heart to the top of the crown. 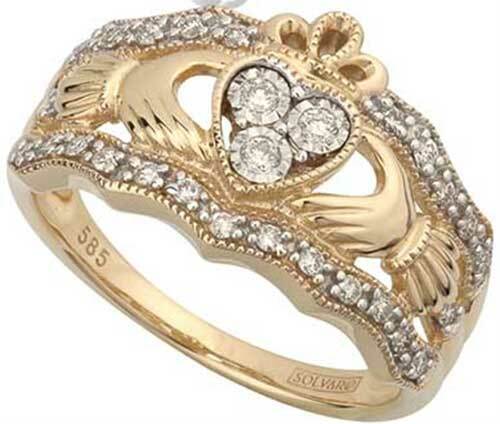 This diamond Claddagh ring is available in sizes 5 through 10, including half sizes.